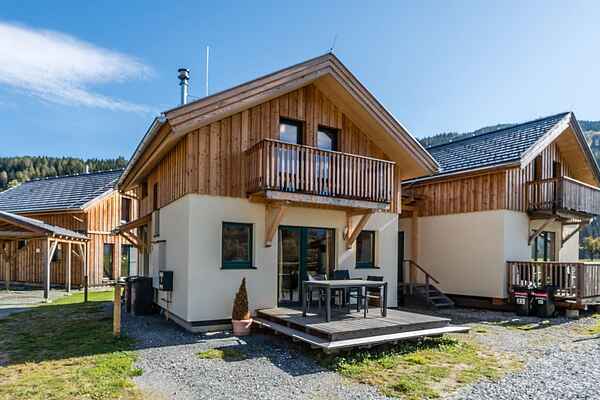 You will be staying in this beautiful, wooden chalet with an unobstructed view and rustic character that is within walking distance of the historic town of Murau. Nearby you will find a fantastic skiing region and the golf course of Kreischberg. The detached, wooden chalet is equipped with all amenities. The spacious chalet has 2 beautiful bathrooms - 1 with whirlpool and sauna - and three bedrooms. (in one bedroom there is a bunk bed, the upper part is only suitable for children due to the roof slope) The living room of this chalet is located on the ground floor. Here you will find a wonderful living room with open-plan kitchen, seating and dining area. From the living room you have direct access to an outdoor terrace and the garden. From the chalet and from the terrace you have a view of the surrounding mountains. The central location makes this a perfect holiday area, both in winter and in summer. More than 200 sunny days per year and a skiing area with snow guaranteed make this a perfect holiday destination for all seasons. As the area surrounding the chalet is still under development, this could cause some inconvenience.